Object Management and Positioning System - WASKO S.A.
WASKO VOYAGER object satellite management and positioning system is dedicated at companies and institutions aiming at management of fleet of vehicles and machines as well as fixed and mobile object. It was prepared for the purpose of supporting logistic processes, ensuring safety, decrease in exploitation costs as well as working time control of possessed means of transport. 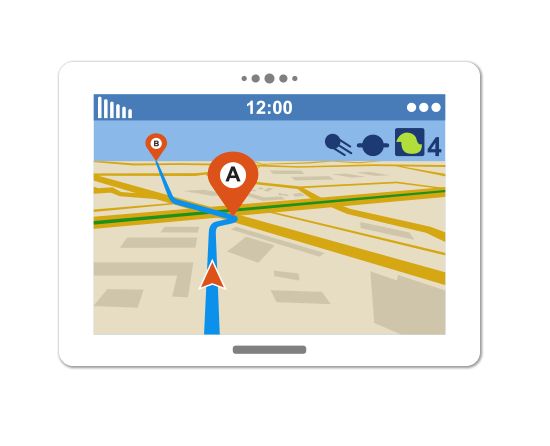 WASKO VOYAGER uses technology of GPS satellite navigation system and wireless transmission of data collected on vehicles in real time is conducted by means of GSM / GPRS. All significant parameters concerning monitored objects as well as remote management of work of installed devices rendered available by the Internet platform as managing software with vector map of Poland and Europe. Provision to selected system users reports with the use of electronic mail or SMS . Facilitation of organisation of logistic processes. route and its all parameters e.g. number of kilometers, speed, fuel consumption etc. fuel shortages outside exploitation, information about unauthorised opening of loading space etc. archive data collected in the system.